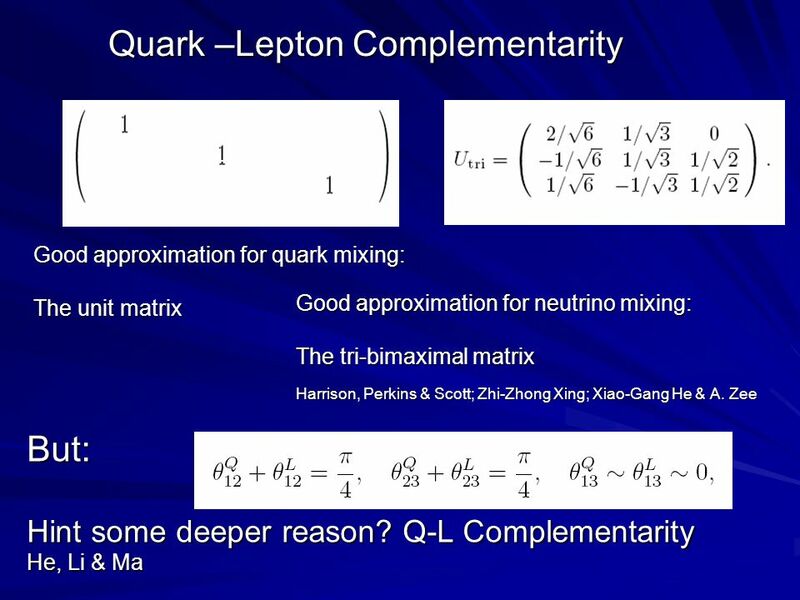 When I arrived at the NNN17 conference and sat down in the lecture room to see the first Powerpoint referencing the LHC Beauty experiment, I anticipated answers of the quarkish kind. Was this a red herring glinting a mere promise of reinstated quark names? Here at Warwick, things were about to get technical. Junji Hisano (Japan) revealed that quarks and leptons are not distinguished in the GUT (Grand Unification Theory) supersymmetry model, and the Standard Model can’t explain charge quantisation. 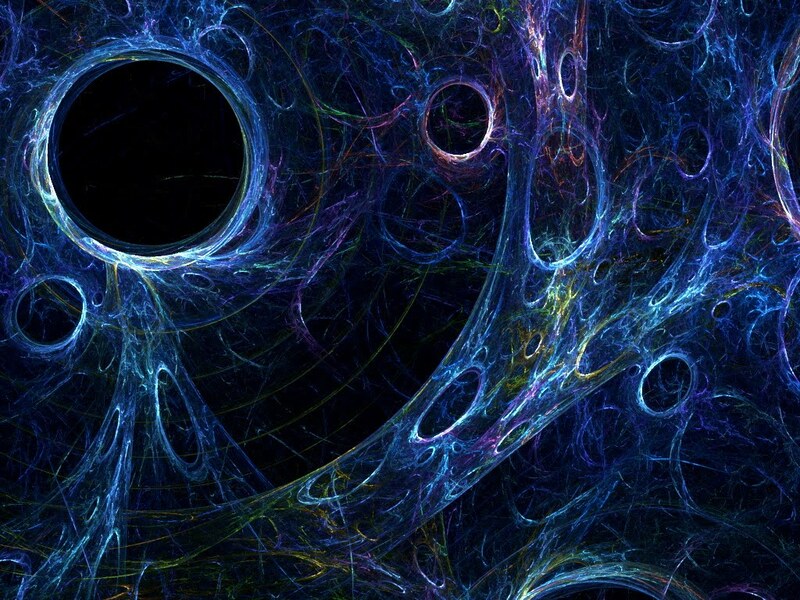 Is there a necessity for extra dimensions to coalesce the data? Yes, came the answer. D-6 effective operators, in fact, while D-7 operators induce nucleon decay. Dinucleon decay is produced by D-9 effective operators. The D-s stand for Dimensions, but you might be forgiven for stepping into hot water if you wanted to expand on the definition of these Dimensions, for it's not always what you think in physics. Nevertheless, it's always a good place to start. In questions from the floor, Junji was pressed to confess, “We have not assumed extra dimensions yet.” Thus opened the Pandora’s Box of paradox, and the start of the show unfolded to produce more gems proving their own worth. Jacobo Lopez-Pavon (Switzerland) expanded on neutrino oscillations with "masses meet in the quark sector". Skipping over a slide that mentioned the Golden Ratio and quark-lepton commplimentarity, the next one asked, "Is CP violation only in the quark sector?" Neutrino ordering and octant are still unknown and this might, he suggested, be a problem. Well, it seemed to me there was much more on the quark sector I was going to have to chase up later. I spoke to Jacobo the next day (listen to our conversation here) The true nature of neutrino interactions with the electro-weak force (via gluons, in other words, which keep those quarks you're made of bound together and bouncing in oscillations of their own) is still an unknown quantity. The Ptolemy experiment was explained by Alfredo Cocco (Italy) to be on the hunt for relic neutrinos, those produced around the time of the Big Bang, and that they carried a mass of just 1 electron volt (1eV) which is crazily low – just imagine the amount of energy an electron holds all on its own and you get the picture of an electron volt. Alfredo concluded that “neutrinos are still the most open field of practical physics” and I squirled slightly in my seat at the prospect of being party to whatever surprises they might be bringing in at any moment. “We hope to find new physics,” expanded Francesco Capozzi (USA, whom I’d recognised from Cryodet ll nine years before), “to give insights in cosmology and guidance to models on mass and flavour.” On mixing and mass, he mentioned in his overview, we know more now, but most uncertainty comes from Majorana phases. There’s a synergy, he suggested, between mass hierarchy and systematic uncertainty which may produce new physics, for the ‘global fits between experiments’, as he put it, differ from each other too widely at the moment. Coffee break offered a chance for it all to sink in. MicroBooNE was one project I’d heard of at Cryodet ll and here it was again, a short-baseline experiment tracking neutrinos via Argon. Muons, apparently, come to rest and decay into Michel electrons, and the programme is set up to distinguish between electron-like or photon-like events. Joseph Zennamo (USA) talked about muons producing protons, adding that an electron neutrino scatters off an electron and a proton. That it’s very hard to constrain photon identities in events with a single experiment and – wait for it – whether the pairs of particles produced from interactions are automatically entangled. My mind zoomed into outlandish territory. I put my hand up during question time, having vindicated my presence at the conference earlier with a question to Francesco about 5D (which he’d referred to in his talk a few times) and Kaluza-Klein maths, which deduces that the equation relating 5th dimensional mechanics to gravity is exactly the same equation Maxwell came up with to define electromagnetism. Right now, however, I was about to shoot myself in the foot with my own red herring. “If muon and electron neutrino collisions produce protons, doesn’t that mean they are producing quarks, and therefore lending themselves to some back-engineering?” Engrossed by the Powerpoint imagery, I thought that if neutrinos decay into protons, which are made of quarks, this was likely to uncover some kind of mystery of universal origins at a simple stroke of reversed logic. Everyone, including Joseph, stared at me blankly. “Er…. I don’t understand what you mean,” Joseph frowned. I felt the crowd around the lecture theatre pressing their intent to help him, and hadn't yet cottoned on to the error of my own thinking. “Was that a crazy question?” I asked everyone in particular. “Yes,” came the communal assent. In typical scientific style, the smack was hard. Later, Matt Wetstein came to my rescue - you can hear what he had to tell me here. What I had missed in my mist of zoomed entanglements, and really shouldn’t have, is that the neutrino is not ‘turning into’ a proton/electron, the thing it’s colliding with is breaking into these component parts. The neutrino is an indivisible entity by virtue of its own construction, like the quark - it's the force of impact with other particles which produces a spin-off of protons, neutrons and/or electrons. And other things, sometimes, too, but we don’t need to go into that here. Stefano Dell-Oro (USA) talked about neutrinoless double-beta decay, a nuclear process that featured highly here. I learned that Majorana (a particle which is simultaneously its own anti-particle) was theorised in 1937, having been hinted at by Enrico Pauli in 1930. (Charge-parity violation was also in the mix with the question of whether CP violation was in the lepton sector – another smoking gun hinting at something to do with quark behaviour?) Neutrino oscillation was first proven in 1998, around the time I had personally found myself fired into the quantum trajectory, and Stefano later referenced a family of experiments at Gran Sasso, where I'd first set foot on the territory of physicists. ​Cuoricino, Cuore, AMORE, and Cupid-O were cited on a single slide, and I couldn’t help noticing that the acronyms all reverted to descriptions pertaining to Love, ‘cuore’ being Italian for ‘Heart’ and the rest being self-explanatory. Never being one to take synchronicity for granted, I made note of this and kept it to myself. Marilena Loverde (USA) talked about ‘Indirect neutrino mass determination using cosmological surveys’, which determined that the sum of energy in the early Universe was comprised of neutrinos and photons, and that Einstein’s equation relates the energy density to the expansion rate. The next generation of experiments, said Marilena, aims its sensitivity to detect whether massive neutrinos are in play. And that it won’t just be a question of detecting mass, but a question of explaining the data. Neutrino signals, said Shirley Li (USA), allow for detection of neutron stars in latter stages of creation, in other words they provide a window to cosmic consequences no other particle can open. Formation of a neutron star from a supernova to a black hole can take mere tens of seconds. On the hot heels of this information came Pascale Coyle (France) to expand on the KM3Net surveys, most specifically ORCA, a deep-sea infrastructure which charts oscillations with Cherenkov detectors in the water. Due to its position, ORCA squares up to neutrinos coming from cosmic sources, anywhere in the traceable Universe! Muon neutrinos produce straight tracks, electron neutrinos produce shower-like tracks, as do Tau neutrinos – and this was news, for the Tau is the most elusive of the neutrino flavours - great fanfare at the LHC accompanied the finding of just one of them. ORCA’s data was above the Tau threshold, and “that makes things interesting,” said Paschal. Deeply and passionately, I silently agreed. At the end of his presentation, refreshingly accompanied by video footage of the experiment in situ, a pod of pilot whales escorted their boat back to shore after deporting the equipment, which could easily be taken as a thumbs-up from Gaia that all is well with these investigations, and we have much to learn of great importance. Tau didn’t stop there, but graced us with its presence in the next lecture by Jason Koskinen (Denmark) on the IceCube and PINGU experiments, carried out in deep-core Antarctic ice and gathering data on 41–42,000 events over the course of just 2 years, again of broad-spectrum cosmic origin. While “unitarity needs improving upon,” Jason pledged that Tau appearances and tests of oscillation unitarity are coming out now. ShiP, is a CERN project advancing into hidden portals, presented by Anne-Marie Magnan (UK), who verified that the Standard Model doesn’t answer questions on neutrino mass, or on Dark Matter, or on the observed Baryon asymmetry in the Universe. There’s a ‘scalar portal’ through which to glimpse ‘dark scalars’ or Higgs particles, a vector portal to view dark photons, and a Fermion portal through which to see heavy neutral leptons. I later found myself noting from the Powerpoint, “Neutrino-induced Charm production” which I’m hesitant to expand upon as I can’t remember the context, but is there not surely a hint of role-reversal in all this, for deciphering further my hurried squiggles the notes then read, “Expected flux of hidden particles and expected number of Tau interactions strongly depend on the number of charmed hadrons produced in the ShiP target.” It’s a two-part programme, Anne-Marie alluded, on the hidden sector and Tau neutrino physics. Far from being a fleeting consequence of flavour oscillation, Tau is beginning, it seems, to step up to some very large plates. Gary Barker seemed genuinely pleased that I had attended this conference, which represented a major turning point for me. Turning up to such events over the course of the past nine years has earned me variable, usually hostile, receptions, although I have to confess to probably only having myself to blame. On this occasion I felt sufficiently au fait with the science to understand most of what was going on, and to conduct myself most of the time with a fair amount of respectable aplomb. Sitting with Gary and a microphone was the icing on the cake - heartfelt thanks to him and his team for a brilliantly accessible, navigable conference which if the general comments were anything to go by had been well-received by delegates for all the right reasons. Where the journey takes us next is of course anybody’s guess, but I have a strong feeling it’s all heading in the right direction faster than we might be giving it credit for.